When it comes to questions about breast and ovarian health, your friends’ well-intentioned advice mixed with hearsay and WebMD might have you totally confused. It’s time to set the record straight. Myth 1: I only need to know my family health history on mom’s side. This is so false! Your family health history on dad’s side is just as important. Men can also carry and pass on genetic mutations — think BRCA — that greatly increase breast and ovarian cancer risk. Once you collect your family health history on both sides, use the information to assess your risk for breast and ovarian cancer. 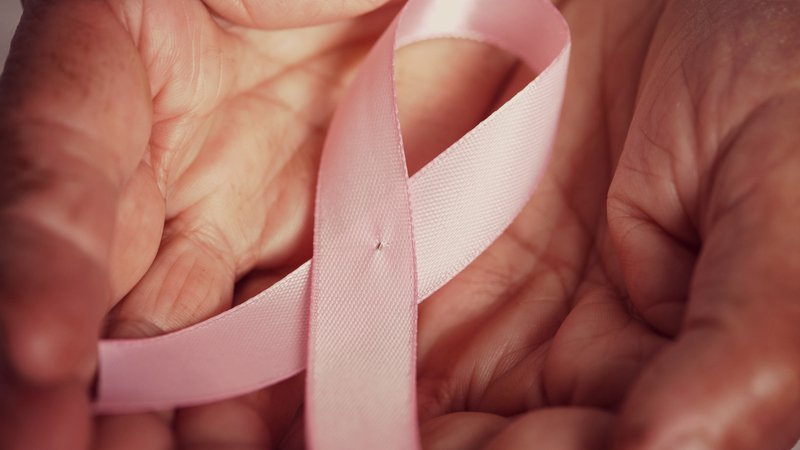 Myth 2: A lump is the only symptom of breast cancer. Myth 3: I don’t need to worry about breast cancer until I’m older. Not true. Your 20s and 30s are a critical time to identify your personal breast and ovarian cancer risk so you can do everything in your power to be proactive. For instance, if you have a first-degree relative who was diagnosed with breast cancer, you should talk to your doctor about starting mammograms 10 years younger than the age at which she was diagnosed. So, if your mom was diagnosed at 45, you should talk to your doctor about starting mammograms at 35. Your 20s and 30s are also the perfect time to adopt healthy, risk-reducing habits. Maintaining a healthy bodyweight, exercising for 30 minutes on most days and cutting back on alcohol are just a few of the things you can be doing today to reduce your risk of developing these diseases in the future. Myth 4: Pap smears check for ovarian cancer. Pap smears actually check for cervical cancer. If this one had you fooled, you’re not alone. Unfortunately, there is no routine screening test for ovarian cancer, which is why it is so important to know the symptoms of the disease. If any symptoms persist for more than two weeks, see your doctor. Also, get in the habit of requesting a pelvic exam at your annual doctor’s appointment so your doctor can feel your ovaries and check for any symptoms of disease. Myth 5: No one in my family has breast or ovarian cancer, so I’m not at risk. Don’t we wish this were true? Family history aside, all women have at least a one in eight chance of developing breast cancer and a one in 75 chance of developing ovarian cancer. In fact, 75 percent of breast and ovarian cancers occur in women at average risk, with no family history or genetic mutation. No woman is exempt from this conversation. The good news is, we can all be proactive! Lindsay Avner, 33, is the Founder and CEO of Bright Pink, a national nonprofit on a mission to save women’s lives from breast and ovarian cancer. Since 2007, she has led the charge to reach millions of young women and transition the national conversation from one focused on breast and ovarian cancer awareness to one centered on tangible, life-saving action.